On March 22, 2018, the new Visitor Centre Hammerhus on the Danish island Bornholm, is officially inaugurated. The building is designed by Arkitema and Christoffer Harlang. 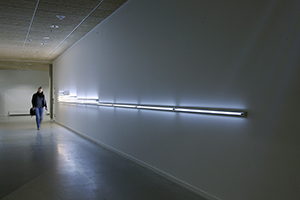 AVPD has contributed to the building with an art commission, consisting of two building integrated curtain systems. The first of the two curtains is installed and we’re looking very much forward to present it as part of the inauguration. Opening: June 1, 2017, from 5 pm. Group show, GMW, Aarhus, DK. Including works by Malene Landgreen, Jesper Christiansen, Søren Lose, Ruprecht von Kaufmann, Bjørn Nørgaard, Jytte Høy, AVPD, Kehnet Nielsen and Asmund Havsteen-Mikkelsen. AVPD presents a new work series "BIC". 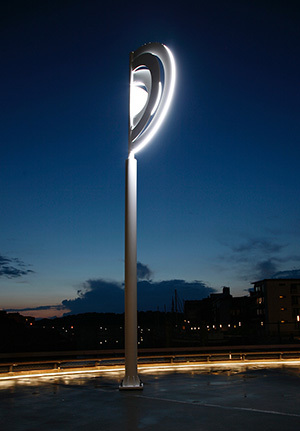 The new site specific commission, Flux, for Lillebaelt Academy is now installed. AVPD has just finished the installation of the permanent commission "Light Sphere" for the newly built harbourbath in Odense, DK. The inauguration of the bath will take place on July 1st, 2016 from 10am. The bath willbe open to the public later the same day. By generosity from the museum the pavilion by AVPD is still present on the beach site. So please take a trip to visit the museum and take a walk on the beach. 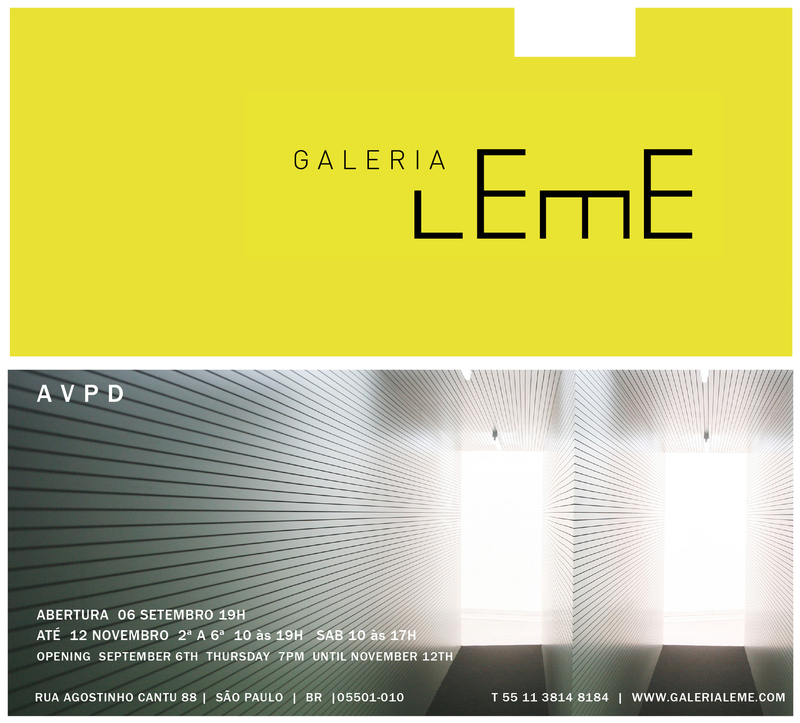 AVPD will be represented by Galeria Pelaires (E) at ARCO Madrid 2016. Pelaires will present 5 new works from 2016 by AVPD. Please visit Hall 7, Booth C12. KUNSTEN Museum of Modern Art Aalborg is undergoing a major renovation and has lend out a selection of works from their collection to Brandts.The exhibition KUNSTEN visits Brandts includes Fade to Black (2010) by AVPD. GMW presents a selection of works by AVPD, Trine Boesen, Morten Buch, Jesper Christiansen, Asmund Havsteen-Mikkelsen, Peter Martensen, Kehnet Nielsen, Bjørn Poulsen, Marc Räder, Jesper Ramussen og Troels Aagaard. 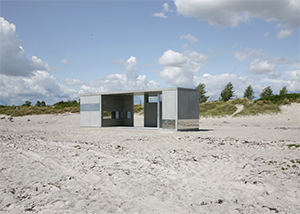 In 2011 AVPD was commisioned by The Danish Arts Foundation to create a permanent work for the Danish maritim school Skagen Skipperskole in Skagen, DK. 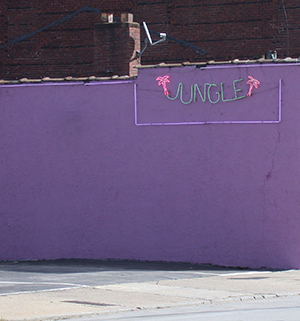 The commisson consist of three works and will be celebrated with an opening reception September 26, 2013. AVPD present their first solo show, Translucencies, in Los Angeles. The show takes place in the HURRA! POP-UP shop initiated by Sharin Foo (DK) and Camilla Hjerl (DK), both living in Los Angeles. AVPD has also developed the concept design for the HURRA! POP UP called Whiteout. 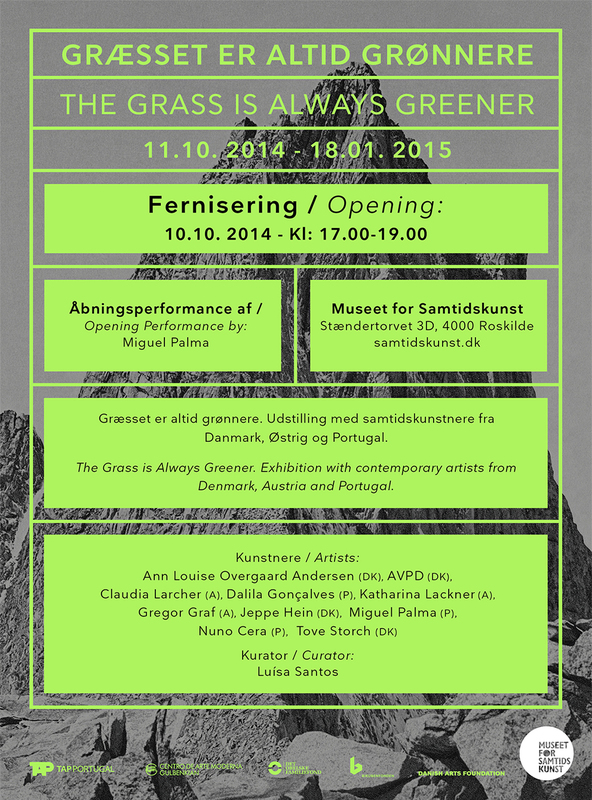 AVPD has contributed to the audio work "Zeigen" by Karin Sander (D) in Nikolaj Kunsthal, Copenhagen, DK. AVPD takes part in "NewSsshhelterplan", a site specific group exhibition that inaugurates the new non-profit exhibition space New Shelter Plan in Copenhagen, DK. The show is curated by Henrik B. Andersen (DK) His Royal Highness the Crownprins of Denmark will be present at the opening. A new performative installation by AVPD. 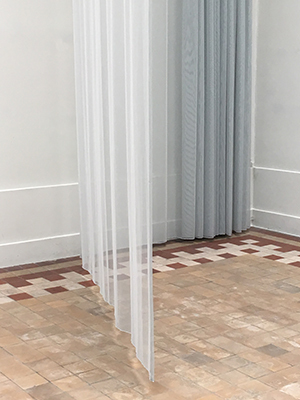 The work is commisioned by KVADRAT and is presented as part of the event Art and Architecture Day, KVADRAT, Copenhagen showroom, Pakus 48, DK. 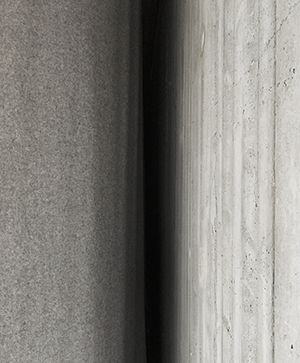 The commisioned work will be presented by Professor Carsten Thau at 6.30 PM in the KVADRAT Showroom. 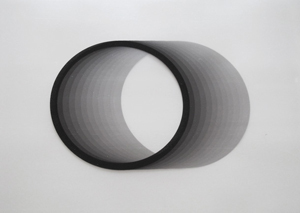 As part of Aarhus Art Weekend Galerie MøllerWiit and AVPD will have a finissage on the exhibition on 25 May, from 1 PM. 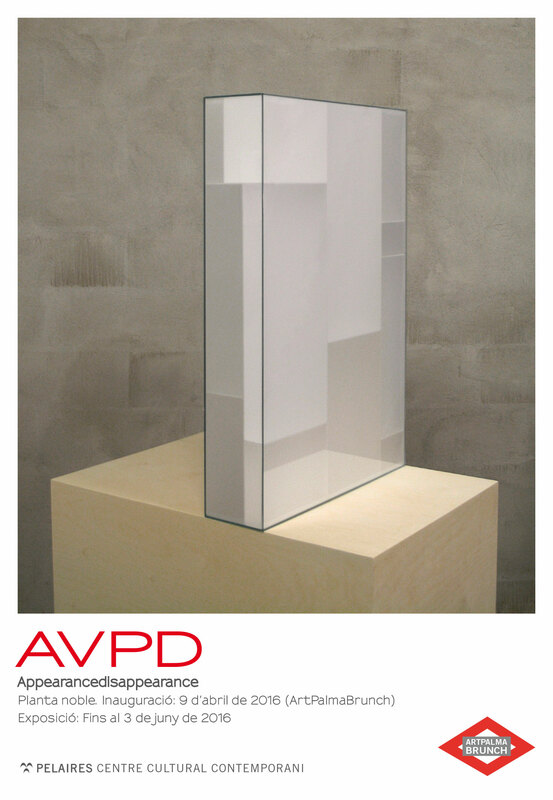 AVPD will give an introduction to the exhibition at the finissage. Last day of the exhibition is Sunday 25 May, 2013. 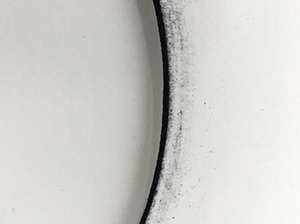 AVPD participate in a group show at QUAD Gallery together with David Batchelor, Gunda Förster, Tristan Hessing and more. Glitch, solo show by AVPD as part of the Art & Science exhibition programme at the University of Southern Denmark Odense. AVPD has been short listed by Bristol City Council for a commission for a new permanent work, situated in the Temple Quay area of the City of Bristol, UK. As part of the exhibition Pose Expose Pavilion by AVPD is built on the square in front of DAC - Danish Architecture Center, Copenhagen. Booth no. 26, Bella Center, Copenhagen. On March 21, 2018, AVPD is invited to speak as part of the Ph.d. course “Værk og fænomen” (Work and Phenomenon) initiated by Nicolai Bo Andersen and Carsten Thau / KADK Doctoral School at the The Royal Danish Academy of Fine Arts, Schools of Architecture, Design and Conservation. 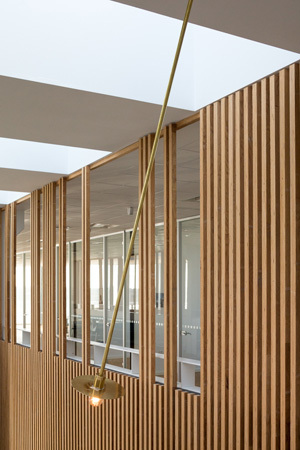 Earlier this year AVPD was short listed to create a proposal for a new artistic overall vision and a site specific building integrated work for the planned Faculty of Medicine (AAU SUND), Aalborg University, Aalborg, DK. We’re now happy and proud to announce that the assessment committee of the competition have appointed us as the winner. 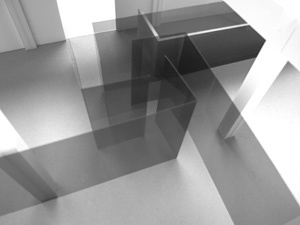 If you should be in Odense right now there is an oportunity to experience three works by AVPD. In the map below the locations are marked together with a interconnecting route description. In the harbour you will find the permanent commission "Light Sphere" at Odense Harbour Bath, indoor you will be able to experience the permanent commssion "Flux" in EAL, and finally the major curtain installation "shift" is on display at Brandts 13. AVPD is happy and proud to announce that our team consisting of AART architects, CUBO arkitekter, GHB Landskab, EKJ ingeniører and Mikkel Gjelstruå has been prequalified to create a new water culture house for the Paper Island in center of Copenhagen Harbour, DK. The other prequalified teams are AlA Architects Ltd, Kengo Kuma And Associates, BIG – Bjarke Ingels Group and 3XN. Godspeed. Last year AVPD was commissioned by KVADRAT to create a new exclusive upholstery for all seats in the trains for Aarhus Letbane, Aarhus, DK. 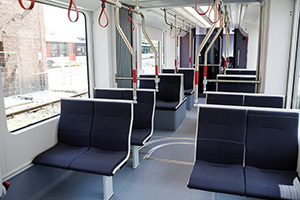 Now the first train has arrived in Aarhus with the complete interior design implemented including our upholstery “Hallingdal Sekvens Random”. The trains will be deployed as part of Aarhus European capital of Culture 2017. AVPD has contributed to the new book by architect Jørgen Kreiner-Møller. The book is a practical handbook as how to plan and realize art commissions. AVPD has been commissioned to create a site specific work for the new harbour bath in Odense, Denmark. The bath is designed by Isager Architects (DK) and will be inaugurated in late Spring 2016. Odense Municipality is the developer. 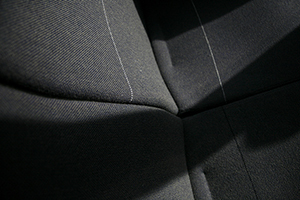 AVPD are happy to announce that we have been commissioned by KVADRAT to create a new exclusive upholstery for all seats in the trains for Aarhus Letbane, Aarhus, DK. The trains are the first light rail trains to be implemented in Denmark in 2017. Address: Den Rå Hal på Godsbanen / Skovgaardsgade 3, 8000 Aarhus C. / Entrance from the Eastside towards Sonnesgade. AVPD are happy and proud to announce that we have been awarded with af 3 year grand by the Danish Arts Foundation (Statens Kunstfond). As part of the 50 aniversary of The Danish Arts Foundation, the foundation has released a new book "Stedsans" compiling 25 selected works situated in the public space. The commission "Skagen Skipperskole" (2013) by AVPD is documented in the book. AVPD has been commissioned to do a site specific work for the new visitor center for Hammershus Bornholm Denmark. 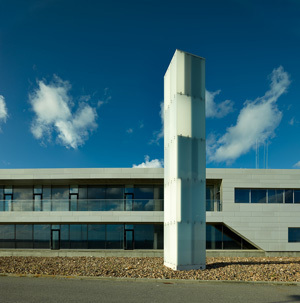 The visitor center is designed byPoul Schülein / Arkitema together with Professor Christoffer Harlang. 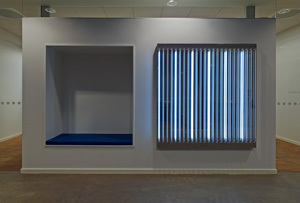 The commission is created in collaboration with Kvadrat. A work by AVPD is on the cover of the 24-page Global Property Special, The Firday Edition March 21, 2014. In connection to the exhibition "Beyond Reach" at Den Frie Udstillingsbygning in Copenhagen. AVPD will take part in a seminar together with Henrik Oxvig (Director of the Research Institute at The Royal Danish Academy of Architecture). 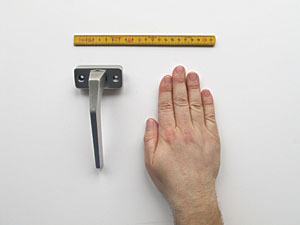 As part of the exhibition "Beyond Reach" at Den Frie Udstillingsbygning in Copenhagen. a catalogue is now available. The catalogue is available in the front desk of Den Frie Udstillingsbygning. AVPD's commission i Skagen, DK, is featured with an article by Ole Bak Jakobsen, on the Danish art blog Kunsten.nu. 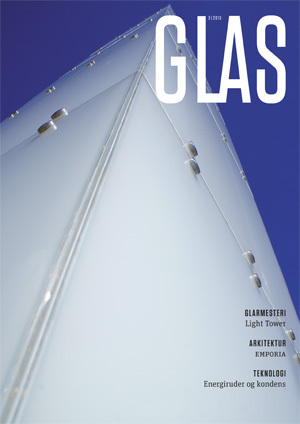 AVPD's commission for Skagen Skipperskole is featured in the new Septemper issue of the Danish glass magazine "GLAS". AVPD is pre-qualified for a major indoor art commission in a new multi cultural building in the harbour of Aarhus, DK. The building is under construction and will be inaugurated November 2014. The winner of the pre-qualification will be announced primo January 2014. AVPD has contributed to the brand new issue: Windowscrapers. 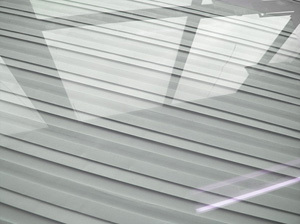 Windowscrapers probes the three fundamental functions of a pane of glass: transparency, refractivity, and reflectivity. In turn, it indulges prying eyes, projective portals, and mirrored surfaces to explore voyeuristic people-watching, alternate realities, and strategic exposure. AVPD are honored to announce that we have been awarded with Kunst, Design og Arkitekturprisen 2012 which is a new award instituted by Direktør Einar Hansen og hustru Vera Hansens Fond. AVPD has been shortlisted to propose a public artwork for The Marque residential developement in Cambridge, UK. As part of the opening of Bygningskulturens Hus in Copenhagen, AVPD will participate in a series of talks – "faglig fyraften". With the headline "The Performative Space" the evening will consist of an introduction to the site in a performative and aestehtic perspective in the 20th century by Kristine Samson and AVPD present different works dealing with time, space and the subject.The evening is elaborated by Mette Mechlenborg, Dansk Bygningsarv. 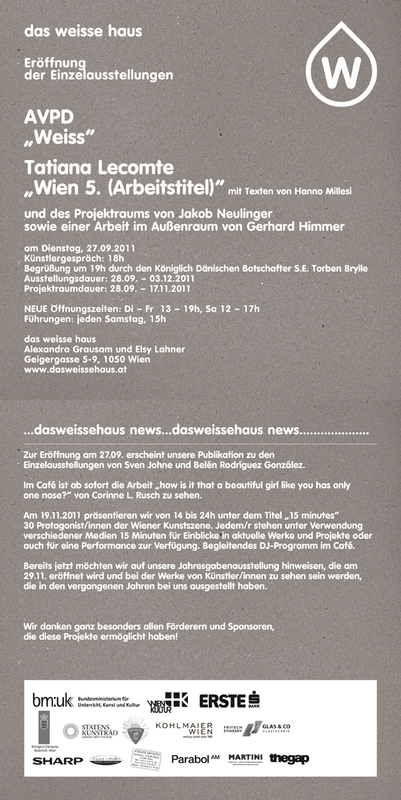 As part of the seminar AVPD will give a lecture at Karrierebar Thursday 26 January 2012, from 14.00 - 15.45. Place: The Royal Danish Academy of Fine Arts, School of Architecture, Det Røde Hus. The program includes: keynote lectures followed by discussions, smaller workshops with project presentations and text readings, and events in relevant contemporary public spaces in Copenhagen. The seminar is organized: by PhD students from the School of Architecture at The Royal Danish Academy of Fine Arts, Schools of Architecture, Design and Conservation. The latest newspaper of Karriere Bar is now launched. Peter Kirkhoff Eriksen contributes with the article "Karrierebar under observation" in wich AVPD's work "Passage" is under interesting observation. AVPD will deliver a talk as part of the afternoon seminar arranged by DAC - Danish Architecture Center and Backstage / Roskilde Event & Consult. Remark that the seminar is with limited seats and the price is 100 DKR. Watch host Barbara Læssøe Stephensen of DR K / Kulturgeist experiencing AVPD's work at Karriere Bar in Copenhagen. 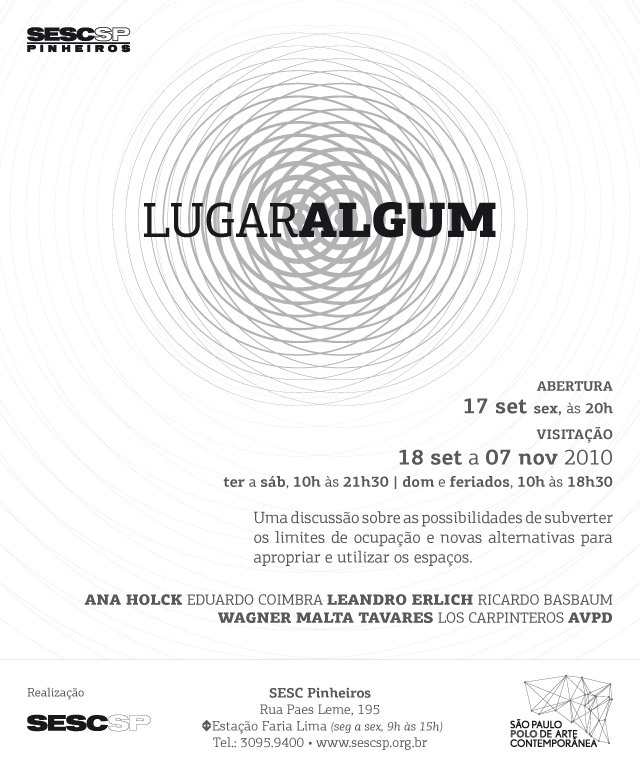 Broadcasted on November 4, 2010, 21:25. AVPD has contributed to "Malebog", a painting book for kids and adults with drawings by 66 Danish artists. The book is handled by all Danish booktrades and directly by Danish Red Cross. Part of the profit is handed over to Danish Red Cross. Among 29 international artists AVPD is highlighted in the Korean magazine art INCULTURE as "New Decade, Hot Artist 29"
In collaboration with a team conducted by Erik Brandt Dam Arkitekter ApS (DK) AVPD is proud to announce that the team has won a second prize, with honorable mention in the architecutre competition Nørreport.